In today's tutorial we will be showing you how to create a stamp effect using simple operations in Phtoshop. Once you complete this techniques you will see the result resembles that of a “bleeding ink” effect and a cutout, poster or comic appearance. In today’s tutorial we will be showing you how to create a stamp effect using simple operations in Phtoshop. 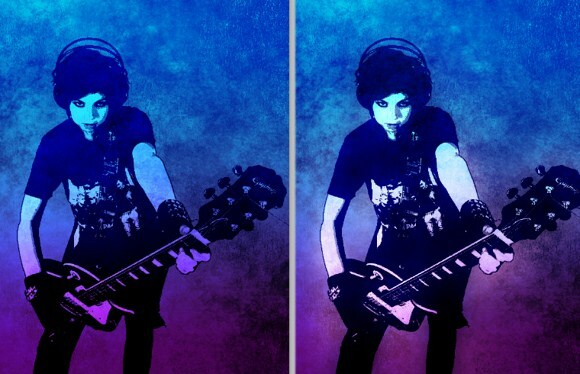 Once you complete this techniques you will see the result resembles that of a “bleeding ink” effect and a cutout, poster or comic appearance. 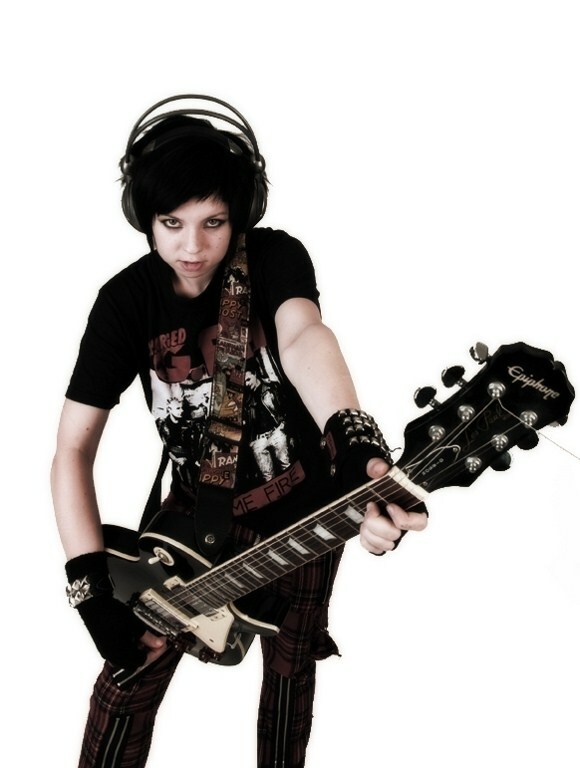 The first thing we need to do is find a decent stock photo, which can be found on your favorite royalty-free stock photos website. The photo can be anything as long as the details are clearly visible. An ideal image should have a balance of lightness and contrast, in other words, images that are not too dark or bright. 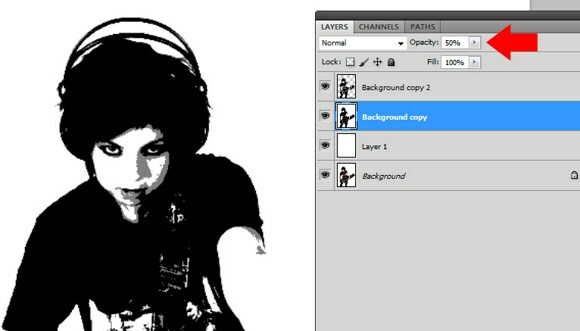 Next you need to duplicate the background image twice so that you will have a total of 3 layers with the same image. 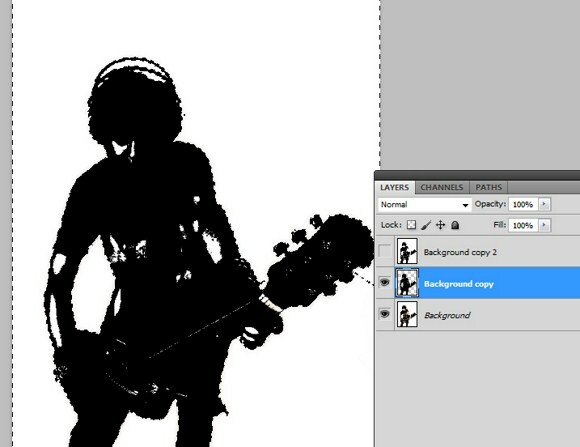 After creating the duplicates, create a blank layer right between the background layer and the first duplicate. 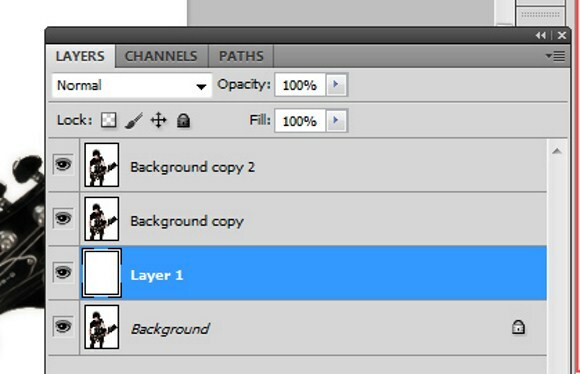 The new blank layer must be placed as the second to the last layer. Fill the blank layer with white using the paint bucket tool. Next, uncheck the topmost layer to hide it. Select the second layer. 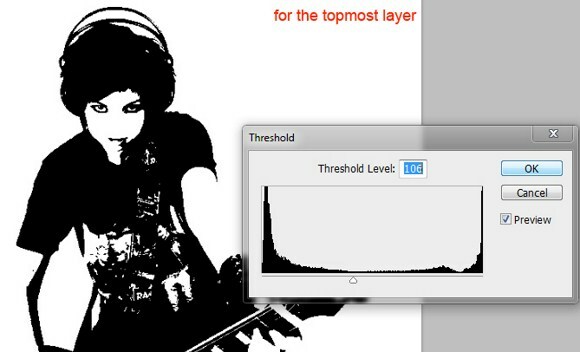 Apply the threshold effect by going to Image > Adjustments > the click on the Threshold. 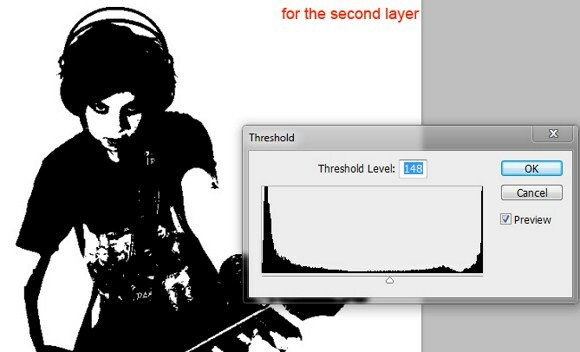 On the threshold function, adjust the parameters to emphasize the darker areas of the image. Right after you have finished that layer, proceed immediately to the topmost layer. Make sure you enable visibility or “unhide” the topmost layer. Go to THRESHOLD AGAIN, but this time, adjust the parameters to show the thinner details of the image. 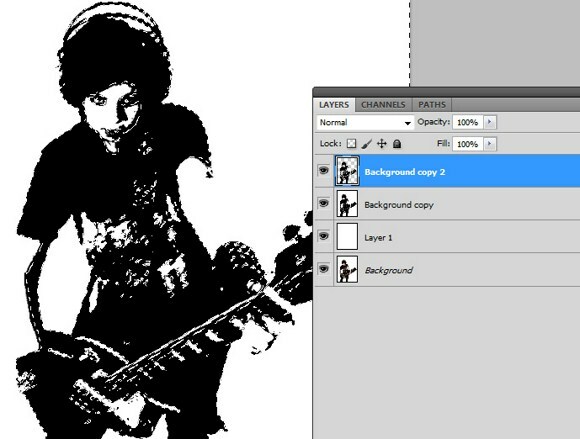 In some images you can add a third duplicate to add depth or level to the stamp effect. With more levels, it mimics vector art styles. Next step is to remove the WHITES in the topmost layer. Go to Select > Color Range. Set the fuzziness to max 200. Do not forget to click on WHITE areas not the black. Hit ok, after that, all the white areas should be selected now. Hit the delete to remove the white areas. Your layers should indicate that some areas have now been removed thus showing some areas of the next layer beneath it. Now select the second layer. Adjust the OPACITY TO about 50 percent. You can adjust it more or less than 50 percent depending on the outcome. 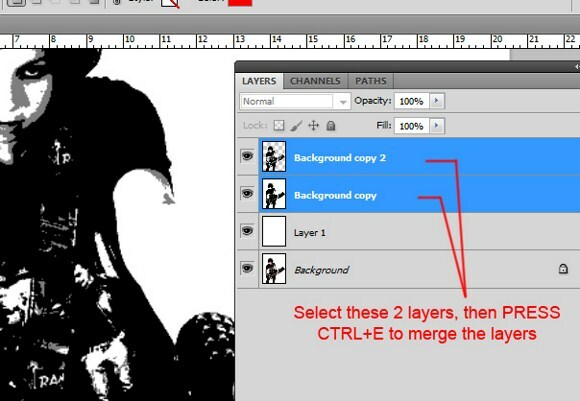 Merge these 2 layers by selecting merge layers in the Layers Tab, or Right clinking and selecting Merge layers, or Pressing CTRL+E. The next step is optional. The main purpose of the next step is only to select and CLEANLY cutout the subject we processed earlier. 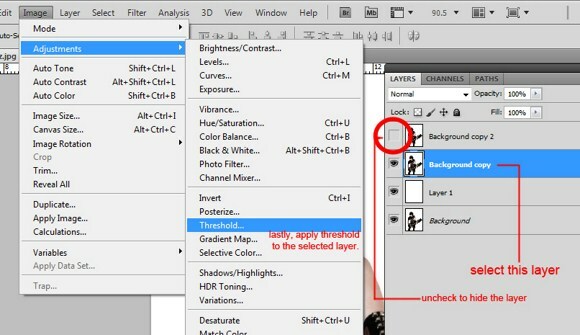 If you are able to delete cleanly the background of your image using the magic wand tool, you may not follow this step. By creating a duplicate from the background and applying a dark threshold on the image, we can now use the magic wand tool to delete the background white area without removing or touching the arms and other white areas that belong to main subject. At this point, you are actually done with the stamp effect. However there are lots of tricks you can do with this technique. 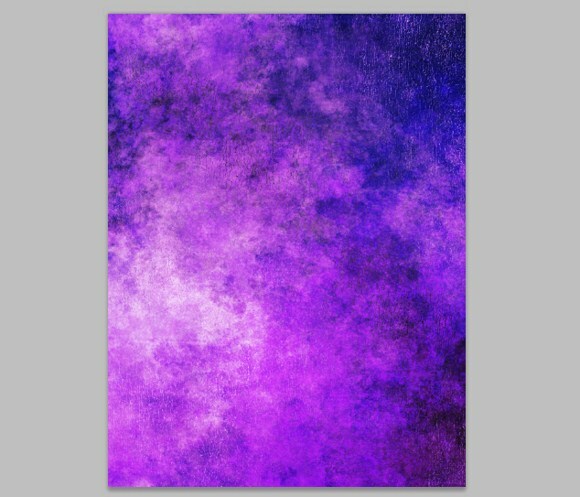 For example, like applying a textured background. 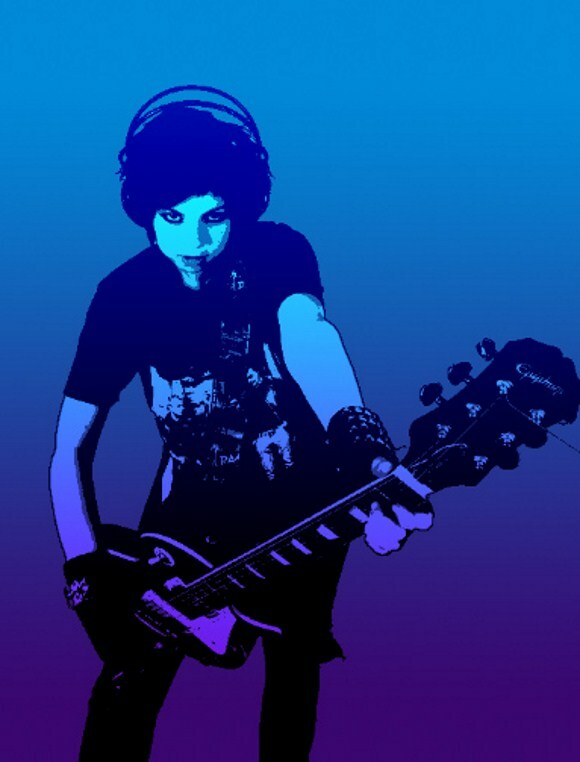 Apply a gradient background using the gradient tool. 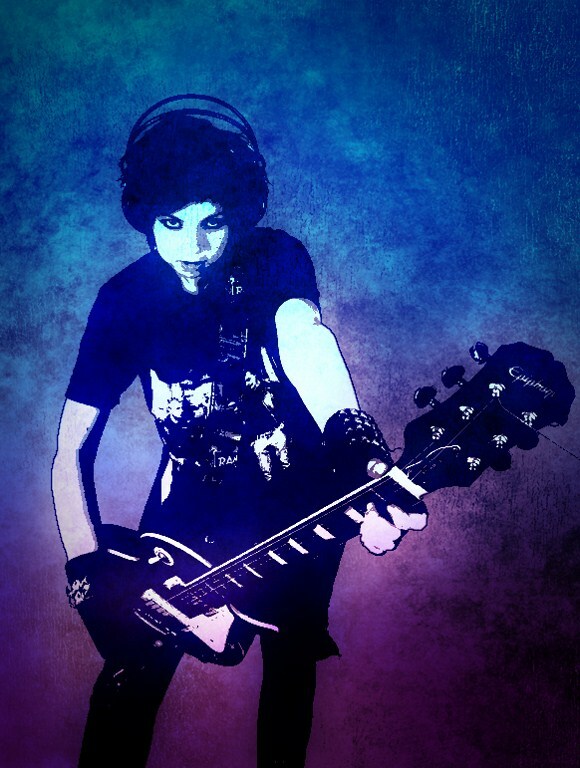 Change the Layer Blend Mode to OVERLAY. 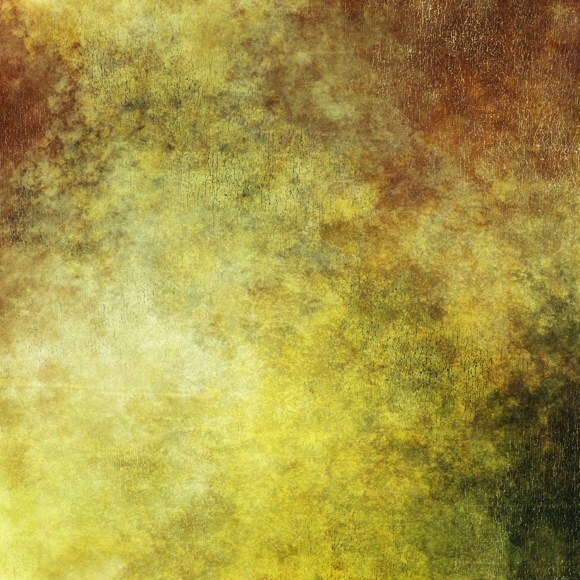 Find a rough texture just like the one below and import t to the project. 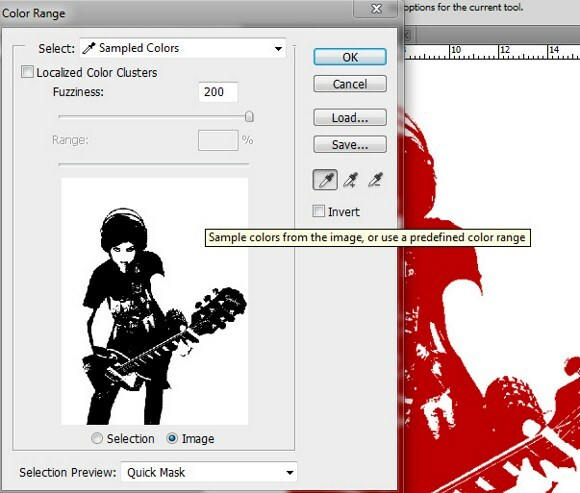 Adjust the color and contrast of the imported texture image using Hue/Saturation under the Image > Adjustments. Change it to overlay blend layer mode. Add some blurred duplicates and glows to make it more dramatic. 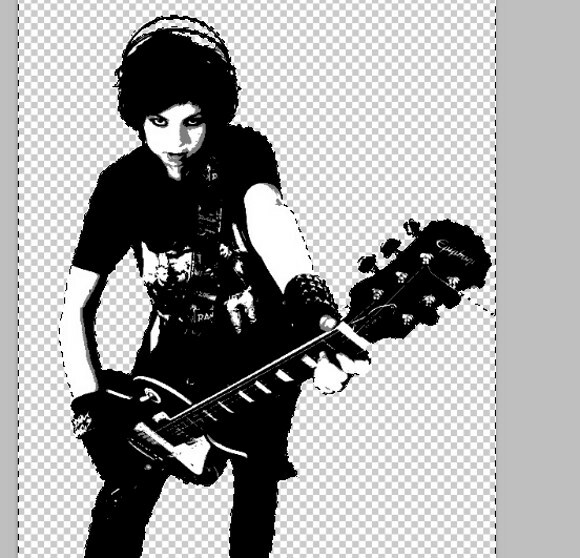 Duplicate the guitarist layer, then apply a Gaussian blur Filter, the set it to overlay blend mode. Also you can actually play with Image > adjustments Variations to achieve effects like these. 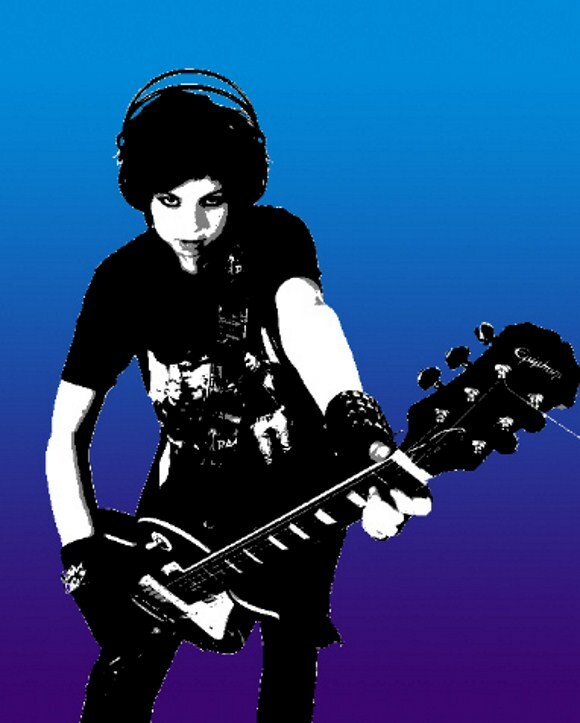 This is a really cool effect you can have a lot of fun with for web, poster, or business card design. Please share your work or ask any questions in the comments.